The widely admired and enthusiastic type designer, calligrapher and teacher Karlgeorg Hoefer would have been able to celebrate his 100th birthday this February. To celebrate this anniversary, the Klingspor calligraphy workshop that was founded by him will be hosting an exhibition of works by Hoefer from mid-March and will be presenting its ’Karlgeorg Hoefer Award’ for outstanding achievements in the field of international calligraphy. Also on view in the Klingspor-Museum in Offenbach is a major exhibition of his work. 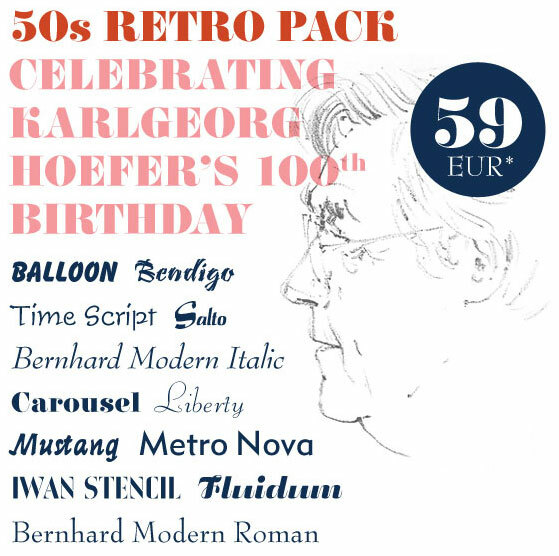 Monotype is also marking the anniversary by offering its 50’s Retro Pack, which includes a font designed by Karlgeorg Hoefer. Hoefer was born in Schlesisch-Drehnow in Silesia in 1914 and first went to school locally before moving to Hamburg. On leaving school, he served a four-year apprenticeship as a compositor and commercial typesetter before studying at Offenbach’s School of Art and Crafts. After the Second World War, he was appointed to the post of specialist teacher of calligraphy at the Offenbach School of Art and Crafts, relocating to the Offenbach School of Design in 1970, where he worked as a lecturer and later as a professor. In the 1950s, Hoefer also began to design his own fonts and many of his concepts, often characterised by their stylish calligraphy, were published, including Salto and Sho. 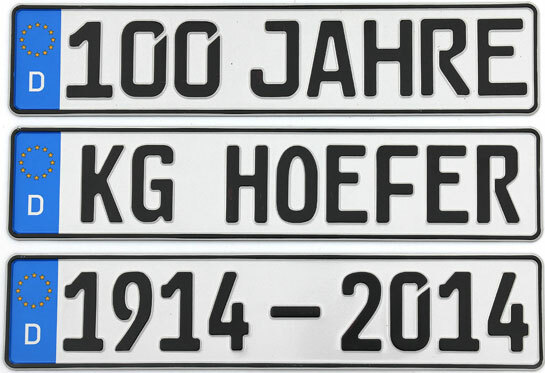 The font now used on German vehicle number plates, the so-called ’FE-Schrift’ (forgery-deterring typeface) is also one of his creations. Hoefer passed on his skills in calligraphy to others not just at the School of Design but also through private workshops. Encouraged by the reception of those that he had supervised in the USA, he founded in 1982 the ’Schreibwerkstatt für Jedermann’ (calligraphy workshop for everyone) in Offenbach that in 1987 was transformed into the current association ’Schreibwerkstatt Klingspor Offenbach – Förderkreis internationaler Kalligraphie’ (Klingspor calligraphy workshop Offenbach – society for the support of international calligraphy). For his work, Hoefer was awarded the Citizen’s Medal in Silver of the City of Offenbach in 1989 and, in 1993, the Order of Merit of the Federal Republic of Germany. Karlgeorg Hoefer died in October 2000. You will find a detailed obituary on our Karlgeorg Hoefer designer portrait. The advertising typefaces of the 1950s are anything but old-fashioned and because of their retro style are currently all the rage. 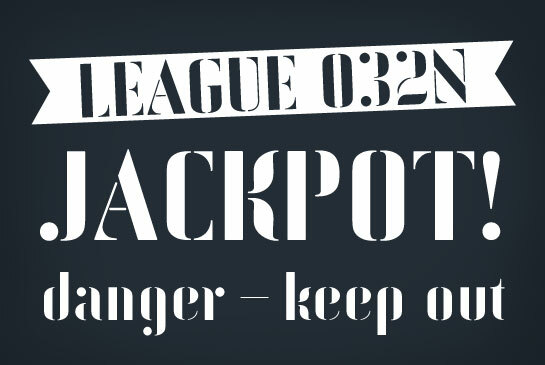 Our 50’s Retro Packcontains 12 OpenType fonts that reflect the differing styles of the era and provide a broadly diversified portfolio for all your design needs. Save 390 USD/EUR (87%) on the normal price and acquire all 12 retro fonts for just 59 USD/EUR* – this offer is available to 20 March only. Click here to download the 50’s Retro Pack. But take a look for yourself; we provide an introduction to the 12 fonts below. 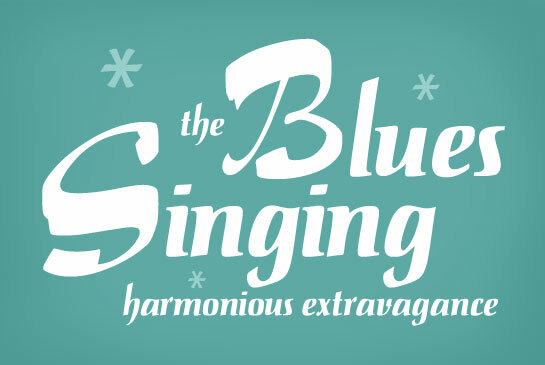 The uppercase typeface Balloon Extra Bold by Max R. Kaufmann has all the attributes of a brush font. The clearly separated elements of each letter give Balloon a dynamic and almost calligraphic feel. Bendigo by Phill Grimshaw owes its lively and forceful character to the doubling of lines in many of the strokes. The calligraphic letters have the effect of particularly energetic handwriting. 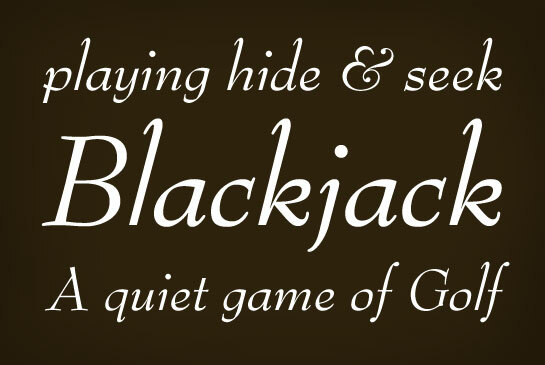 The low x-height and extensive, very fine serifs provide a stylish touch to Bernhard Modern by Lucian Bernhard. 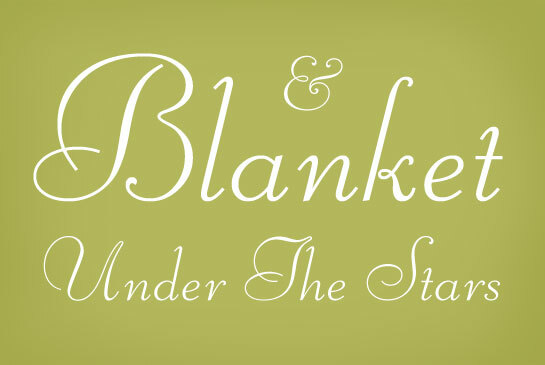 The contrast in line weight that is reminiscent of quill script, the slight tapering of the serifs and rounded line terminals ensure that Bernhard Modern has a feel similar to that of handwriting. 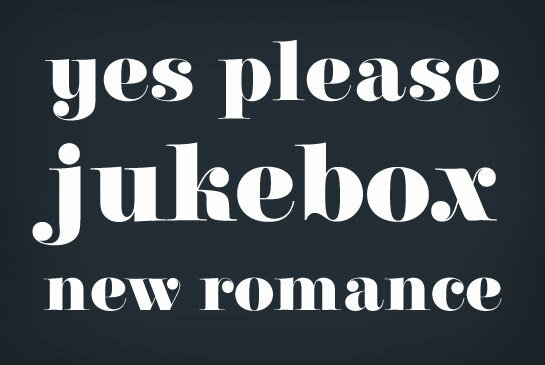 Our 50’s Retro Selection includes the Italic that matches the Roman style. 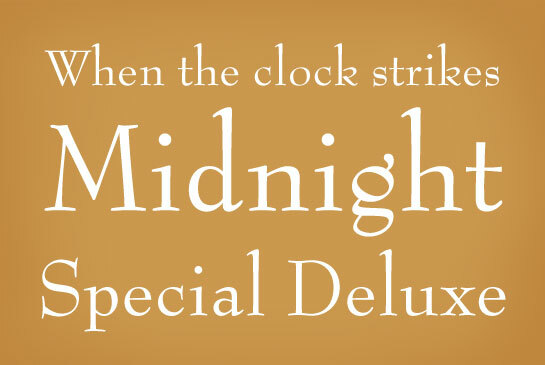 Serifs that are attenuated until they are nothing but hairlines and contrasts in stroke thickness that are taken to extremes are the main distinguishing features of Carousel by Gary Gillot. 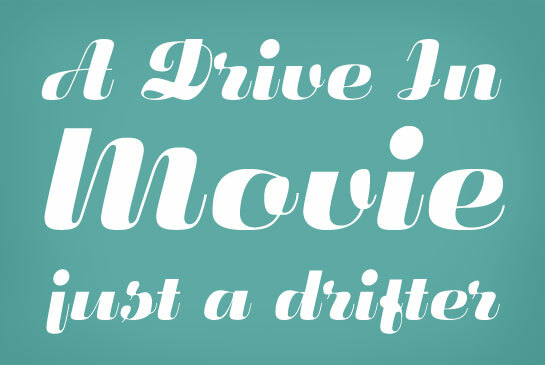 Good-natured character forms and line terminals in droplet form give this font an animated and vivacious feel. Alessandro Butti’s Fluidum owes its unique character to the interplay between extreme contrasts in stroke weight, the unusual letter forms and the rounded areas of line transitions. Additional dynamism is provided by the implied but not actually fully realised connections between the individual letters. There is a certain playfulness in the sweeping uppercase letters of Liberty by Willard T. Sniffin. The more subdued forms of the lowercase characters not only provide a little more restraint, but also give the font a touch of stylishness thanks to the low x-height. In the case of Metro Nova, the attributes of a synthetic grotesque font have been skilfully combined with humanistic elements, ensuring that this typeface has an amiable and warm appearance. Metro Nova by Toshi Omagari is a reworking of sketches originally produced by William Addison Dwiggins . 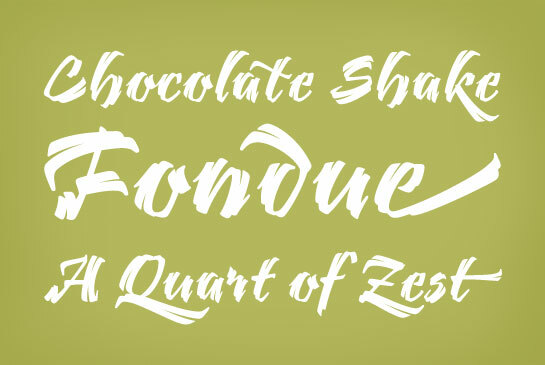 The brush font Mustang was created by Imre Reiner using his own handwriting as a model. 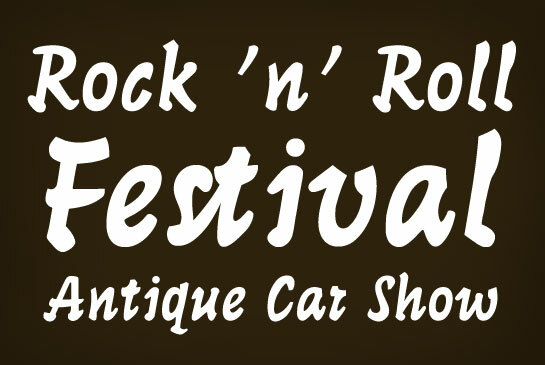 Slightly irregular line terminals provide this bright and buoyant font with an individual energy. Klaus Sutter was responsible for the digital conversion of this font. It is the contrast between the opulent uppercase letters and more reticent lowercase characters that determines the temperament of Salto by Karlgeorg Hoefer. Hoefer used a brush to draw the capitals and a pen specially developed for the task to create the lowercase letters. The lively Time Script by Georg Trump derives its energy from the fact that the letters appear to have been causally written with a pen. And it is precisely this interaction between calligraphy and handwriting that gives Time Script its unmistakable, lively quality. 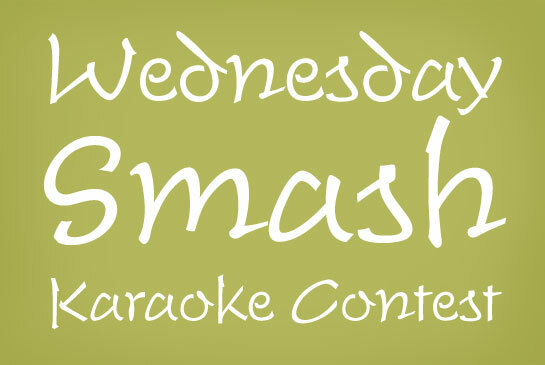 The stencil font Iwan Stencil was created by Klaus Sutter from designs by Jan Tschichold. Its individual character comes about because of the extreme contrasts in line thickness and the carefully integrated round elements. * Gross price 70,21 USD/EUR including German sales tax. Time Script is a trademark of Monotype GmbH and may be registered in certain jurisdictions.